Thanks so much for stopping by for the seventh day of my BIG giveaway! I am BEYOND BLESSED to work with some amazing companies who have offered up some of their awesome products. Not all of the giveaways are necessarily sponsored by the companies (meaning, some of the stuff I had at the house and wanted to spread the wealth), but even still, they are all companies I love and want to spread the word about. Just a word of warning: Make sure to stop back daily as I will be having a new giveaway every day for the next FIVE days and would hate for you to miss out on any of them. Also, some of the entries are available daily (ie tweeting about the specific giveaway, pinning a picture on Pinterest, etc), so if it is an item you are super stoked on, I’d recommend entering as many times as possible. 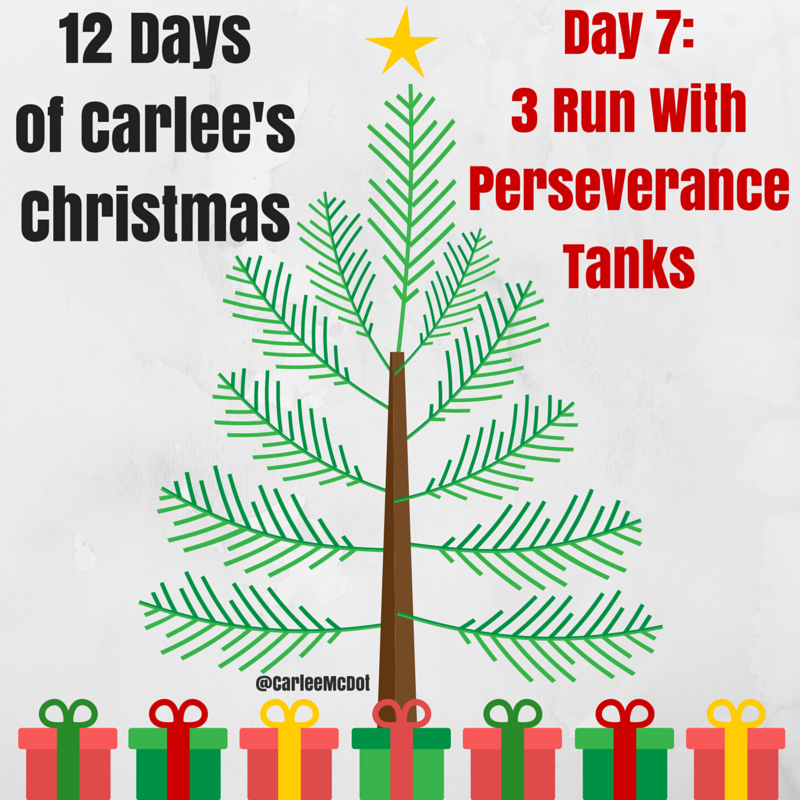 If you follow me on social media then you have seen your fair share of Run With Perseverance tanks. I started wearing them a while ago (like I put one on my Christmas list 3 years ago and ended up wearing that one to the Princess Half Marathon at Walt Disney World in 2013) and they have been a staple in my closet (and running attire) for the past few years. Since then I have gotten to know the AMAZING Kathy, who runs the Etsy shop. She is AWESOMESAUCE! 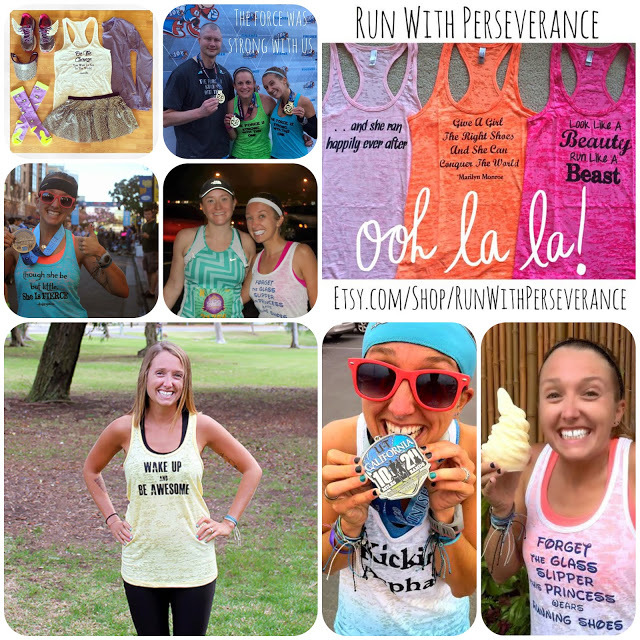 Run With Perseverance is all about sporty tank tops that get you noticed. I love the burnout tops (they breath well, especially in the hot and humid weather we had this summer, and dry out quickly). The designs are terrific too - whether they are Disney inspired, running specific or just healthy living - THEY ROCK MY SOCKS! Kathy has offered up THREE tank tops - can you say fan-freakin’-tastic?! Each of the three winners will be able to select the color of tank and design they would like. Let me tell you, choosing your favorite is a difficult task (it takes me a good 30 minutes to decide on my next order EVERY TIME!). As with all of these giveaways, they will run for seven days. The winners will be selected on the eighth day. This one will run through December 13th at 11:59pm. The giveaway is open to US residents only. The winners will be contacted via the email address associated with their Rafflecopter account and will have 24 hours to claim their prize. All entries are verified, so please be sure to complete them or a new, random winner will be selected. I think Wake Up and Be Awesome in Turquiose. But I'll probably change my mind! Omg the colors! I would probably never change out of these or my running pants. #momlife Love the white an blue need for speed one! I really love the Kickin' Asphalt tank. I adore the "and she ran happily ever after" tooooooo darn cute!!! hey cutie! I think I need one of these right now to help with my spirits! Yay! I love these tanks! Love the ones you wear!! I would choose the Philippians 4:13, I can do all things! If I won I'd gift it to my sweet 15 year old and let her pick it out. I love You Just Got Chicked! That would most definitely be my pick! I love these! I'm always jealous of your collection! I'd probably get the "Wake Up and Be Awesome" tank because sometimes in those early mornings you just need that reminder. I like Train Fearless in grey! Love them all, but my 1st choice would be "Wake up and be awesome" in teal. Cute tanks, love them all! I love the "give a girl the right pair of shoes...." It's perfect! I love the forget the glass slippers, this princess wears running shoes tank and the she ran happily ever after tank! I like the "I feel a need, a need for speed" slogan and I'm artial to blues and purples. Love the "run with your heart..."
"Though she be but little, she is fierce" Love this one! I need the one that says "though she is little, she is fierce"
Tough choice! I guess I would choose the princess wears running shoes or wake up and be awesome! They are all so great!! Wake up and be awesome! Love it! Wake up and be awesome... but there's so many good ones! They're all great. Kickin Asphalt! I like the Faith Hope Run top. I really like the Wake up and be awesome tank. I often need that reminder when I'm having a hard day! The Wake Up and Be Awesome has been at the top of my list for next order, but I'm also really loving some of her recent designs, especially the "Be So Good..." and "Do or Do Not..."
I met the guy I am pretty sure is "the one" running, so "she ran happily ever after" is fitting! I love my Run With Perserverance tanks! Too many cute options! Probably give a girl the right pair of shoes. These tanks are so cute! I don't know how I would choose! "and she ran happily ever after" - love it! Hmmm tough choice! 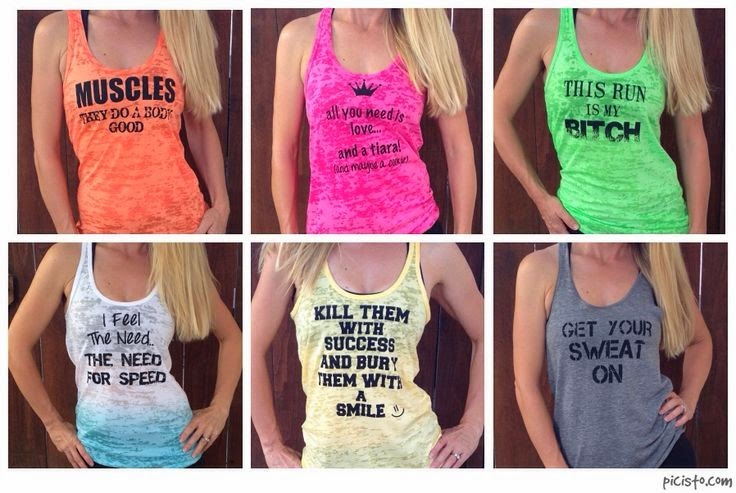 I would probably pick the "Determined" tank, the "Wake up and be awesome" tank, and the "Kicking Asphalt" one! For sure the tank that says 26.2 on the front and she ran happily ever after on the back in pink! I LOVE the "Wake up and be awesome" tank. If I don't get my workout done in the pre-dawn hours, it does not happen. This message resonates with me! my current choice is "do or do not there is no try" i mean how can you go wrong with Yoda?! I love the "Sorry Charming, Gotta Run!" Shirt! So cute, and perfect for my training for the Princess Half Marathon! The Force is strong with this one...love it!! I love the #selfie one in pink! These tanks are great! I would get the Do Or Do Not There Is No Try Burnout Tank Top. I would love to get a Philippians 4:13 tank. forget the glass slipper.. you are awesome for doing this!! I would do the turn up and work the hell out in grey! I like the attitude of "wake up and be awesome." Though she be little she is fierce! I like most of them but Wake up and be awesome. I think this everyday so I would love to have a shirt that states it. Will run for birthday cake!! I love Run with Perseverance! I would get And she ran happily ever after! I would love the "I feel the need for speed"!!!! 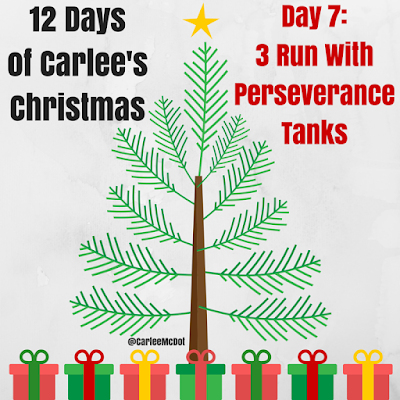 I've had my eye on these tanks for awhile now and I would LOVE to win one! I would get the one that says FIERCE as this is my life motto as I am all of 4'10" - though she be but little- she is FIERCE! This would be for my daughter and she's 17 so who knows what she would choose!!! all you need is love and a tiara! pink! Maybe catch me if you can! Ahhh so many awesome shirts, I can't choose! Haha. I love the Wake Up and Be Awesome, Rise and Grind, Good Things Come to Those Who Work Their Asses Off, Get Your Sweat on, and Destroy Yesterday. "Kill them with success and bury them with a smile" Isn't that the truth? I like the Get Your Sweat On tank. Tough choice! Probably the Wake Up & Be Awesome in pink :). It's so hard to decide! Probably the "I feel the need, the need for speed" because it's so funny. I'm not fast lol. I would love the Be Strong & Courageous, Joshua 1:9 tank! The designs are awesome! I love the Look Like A Beauty Run Like A Beast Burnout Tank Top! wake up and be awesome...or i feel the need for speed.... you're right, its hard to choose! All you need is love...and A tiara! Any and all of them! Love this company and love a fun tank! I NEED a kickin' asphault shirt in my life in the worst way! I like the "The Force is Strong with this one" tank in grey. My fave is And she ran happily ever after. Wake and be awesome in any color! So hard to pick! Theyre all so cute! i would love a gray "be strong and courageous" I love the idea of always wearing encouragement items while running or working out. So hard to decide. Maybe one of the Star Wars ones, Do or do not, there is no try or The force is strong with this one. I've been eyeing up my favorite Star Wars quote, Do or Do Not, There is No Try. I'd probably pick something Disney related! I'm the worst at choosing because I want them all!! I'd get "I feel the need for speed"
I love all of her shirts! I can't decide!